Once again, I had great fun reading a wonderful series. Although I had already read the first book prior to the challenge, the remaining three books were still great new experiences for me! 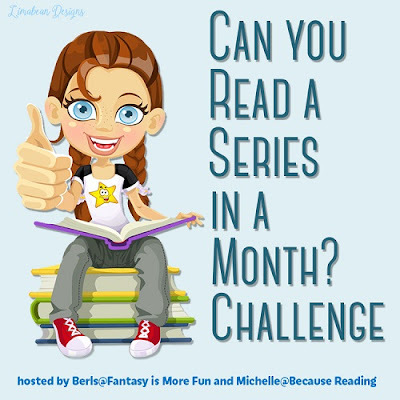 As a refresher, I'm re-posting the series I chose along with my updated review links. For the Goodreads series page screen shot, please scroll to end of the post. I look forward to any other book by Courtney Milan. And also, until the next time our lovely hosts have this challenge! *Click on series title for GR series page. // Click on book title for my review. 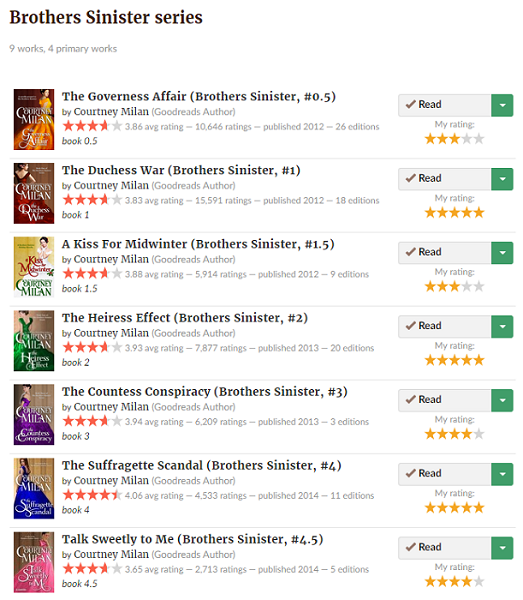 And as requested by our lovely hosts, here is a screenshot of the Goodreads series page, showing all the books I read for this series! If you go to the actual series page at Goodreads, there are two other entries: One is an anthology collection that includes the prequel novella, The Governess Affair. The other is a complete boxed set for the whole series. Awesome Job! I updated the end post and included the link to the kick off post with the rafflecopter. Just link this post up there. I am totally losing my mind and messed up on how the winners were going to be picked. I apologize! Thanks! I'm just satisfied with being able to finish a series. The accomplishment feels terrific! Thanks for hosting this challenge!